WHERE IS MIMI SHOP? 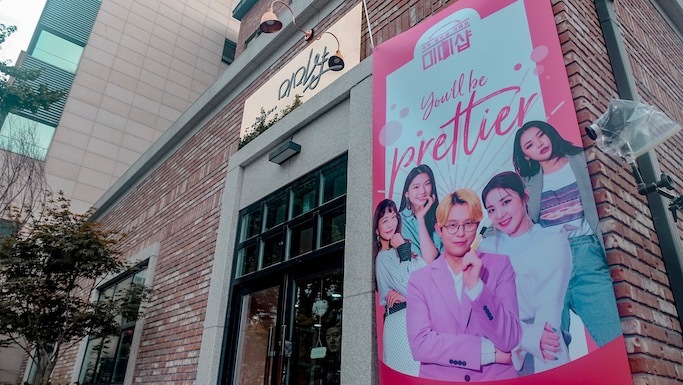 | Location + Tour of this Beauty Shop Set for Korea's Variety Show Starring Sandara Park, Tony An, Etc. The most unexpected thing happened to me last week. It's not even a "once in a lifetime" moment, but a NEVER EVEN POSSIBLE chance for someone like me! The whole time I was thinking, what did I do to deserve this? I am not worthy! Haha! 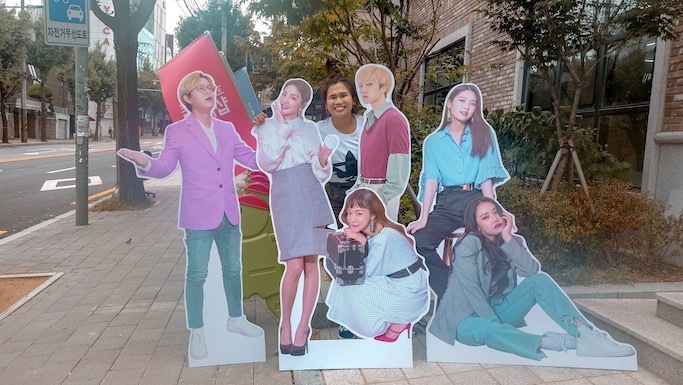 I felt sooo grateful to Viu Philippines, JTBC, and Mimi Shop for proving to me that dreams really do come true. And if it can happen to me... It can happen to you too! A day before the flight, I received an email from Viu Philippines that they are taking me to Korea to guest in JTBC's reality and variety show MIMI SHOP featuring Korean celebrities Sandara Park, Tony An, Cheetah, Jin Kyung, Shin So Yul, and a surprise episode guest who turned out to be Prison Playbook and Winner's Kang Seung Yoon! The whole day I was messaging with Viu Philippines back and forth, submitting requirements needed by JTBC, sending my information for the tickets when they approved of my website, and finally, getting the details of my flight to Korea--which was early morning the next day! I immediately planned the stuff that I will be bringing, colored my hair using a box of Liese lying around my cabinet, and planned my outfits for the short, 3-day trip. I had no time to have a haircut or visit my eyebrow waxing salon, but whatever! I was ecstatic to be flying to KOREA!!!! 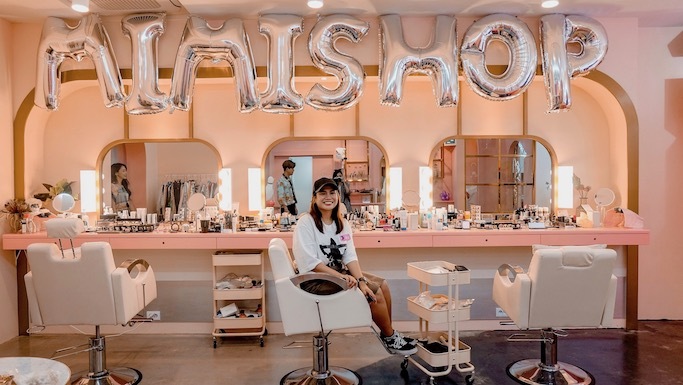 I will still be posting about the whole Mimi Shop experience, but for this post, I will just show you around the beauty shop aka the set for the show. I will also share the location in a while, so I hope you hang in there! 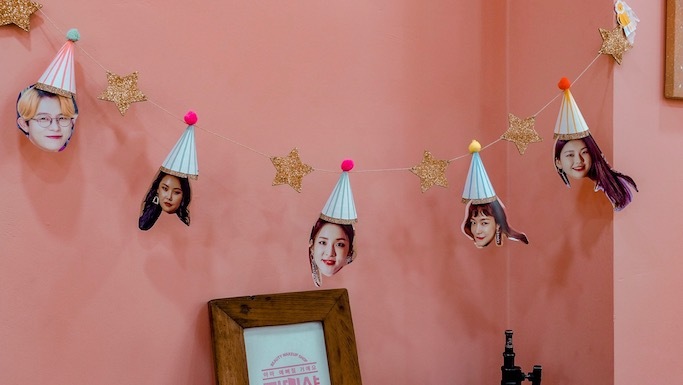 This is the entrance of Mimi Shop! You will know it right away because of the pink tarpaulin on the side of the brick-wall building--featuring the mainstay cast of the show. 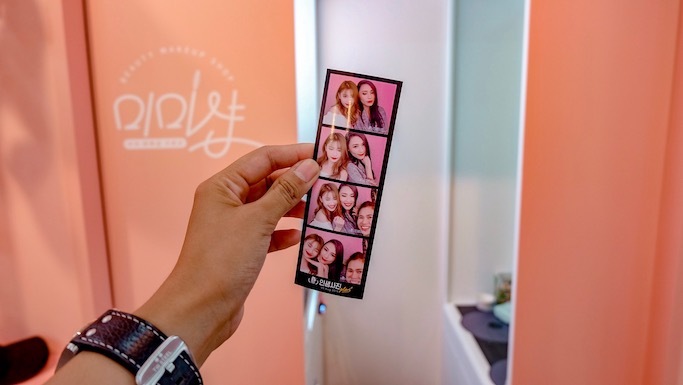 Right on the side of the door, there are also standees of the cast, where the local fans take their photos and videos. You will see the fans on the side of the entrance, waiting for the celebs who might just go out of the shop! Screenshots from Viu app of Mimi Shop Episode 2, when they first saw the shop and accepted their first customers! 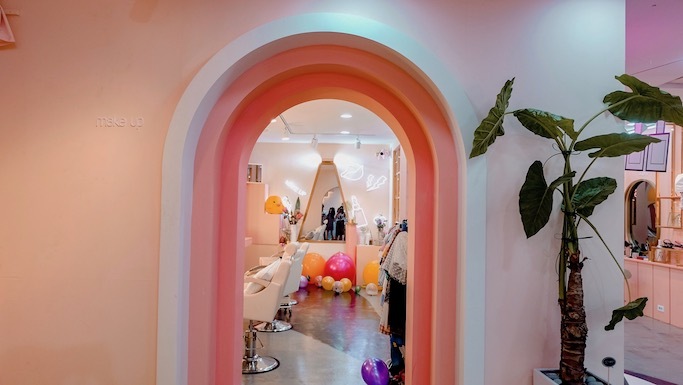 Upon entering the Mimi Shop, Sandara Park, CEO Tony An, Cheetah, Jin Kyung, Shin So Yul, and intern Kang Seung Yoon will all greet the guests in unison. 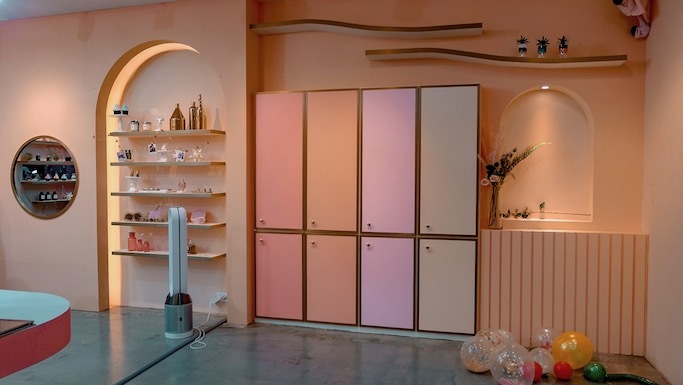 *bowing side-by-side* : "Welcome to Mimi Shop!" Here's how the reception area looks like. 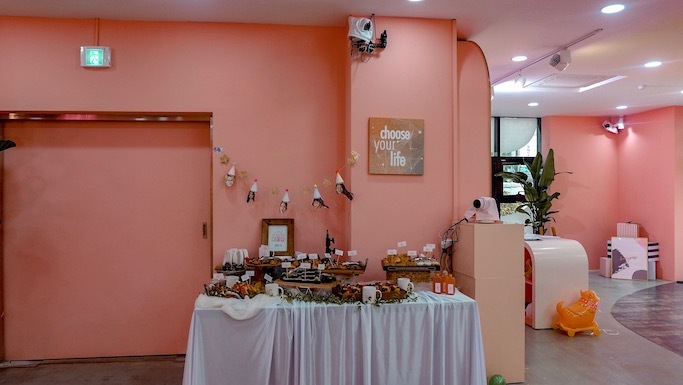 Dara said it's her role to stay here, and welcome the guests entering the shop. 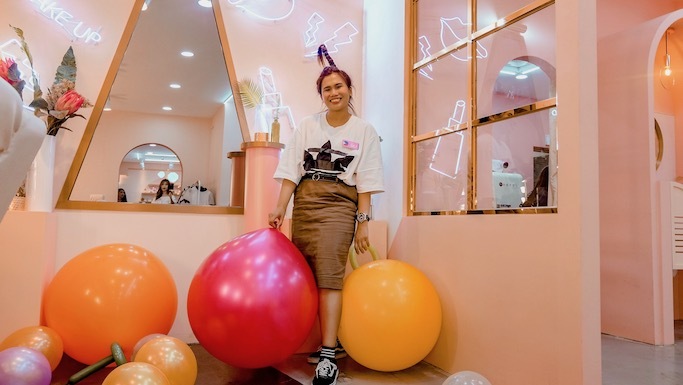 If we have a b/vloggers version of Mimi Shop, maybe I will also stay in this area! My new friends from different countries who were also invited to the show were so so good in makeup! So I will stay here and be the shop's welcoming committee because that's where I am good at! ;) ;) Hehe! This is where Service Manager Dara checks the schedule and the customers' style. 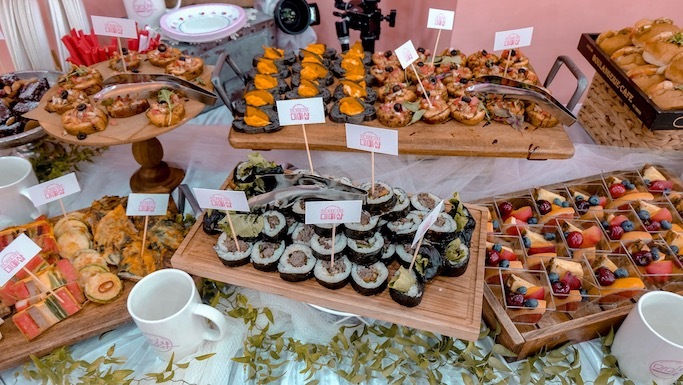 She also shows the guests Mimi Shop's Special Menu. They do not have the usual looks like "bridal" or "party" or "promo". 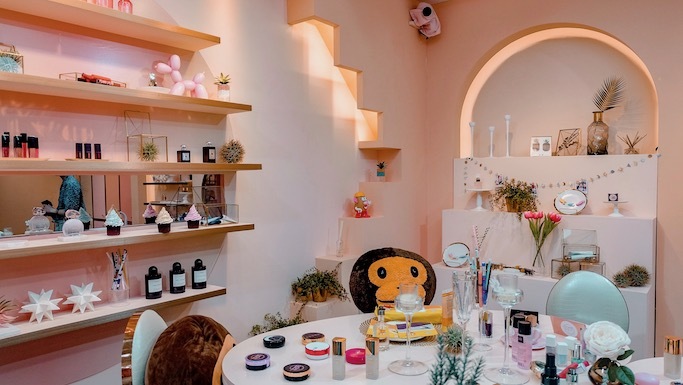 Mimi Shop will let you choose a makeup look according to your MOOD. Here's how the Counselling Room looks like when we visited! 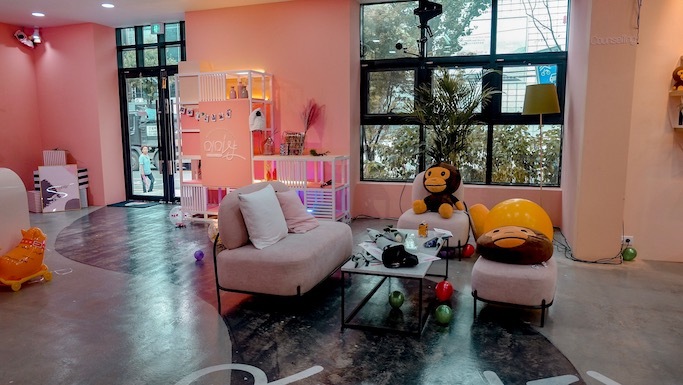 It now has several of Dara's plushies and toys! Dara said that even the pens we used to sign up in an information form given to us upon entering are hers! 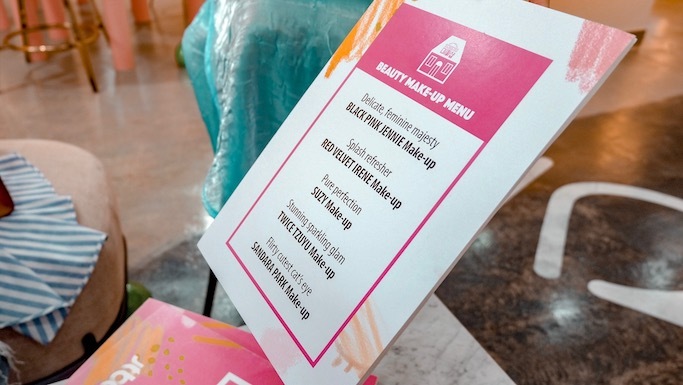 The current Mimi Shop makeup menu! Oh, and they also took our bags and placed them in these lockers first so we can have a comfortable time in the shop. After counselling, customers go here and have their drinks. 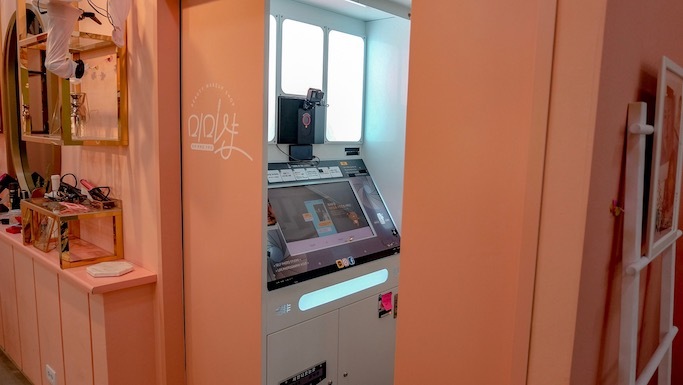 This is also where customers can test new products. Intern Yoon was the one who showed us the drinks menu, and they have a lot! We all got a Korean drink! 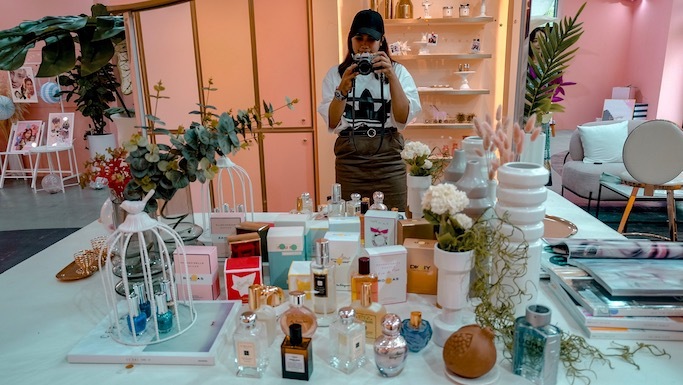 They have a lot of Korean products from makeup to skincare to fragrance brands during our visit! Tony said to feel free to try them! What a grand waiting room, if I had more time I can stay here just to swatch and test! Haha! 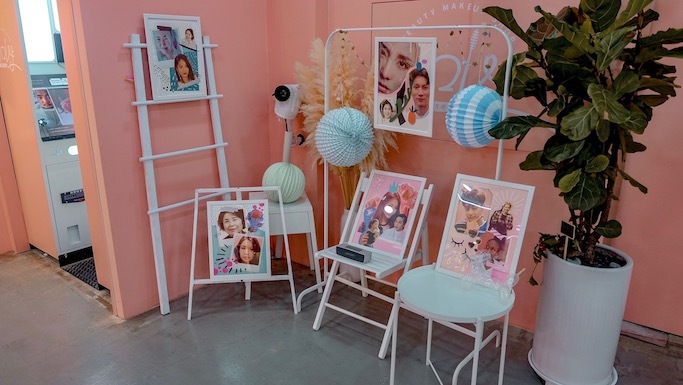 I even saw the individual makeup boxes of the Mimi Shop artists! Akkk! Where customers become pretty. It's the most important place in the whole Mimi Shop! It's where your dreams come true! This is the place where we stayed in the longest. 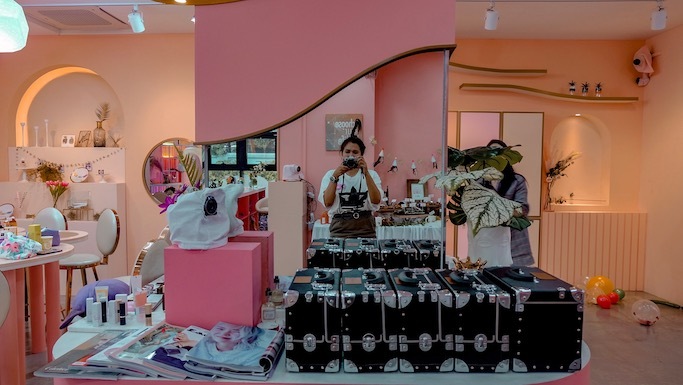 This is where we had our mini makeover from Mimi Shop artists, and watch each other get beautified! 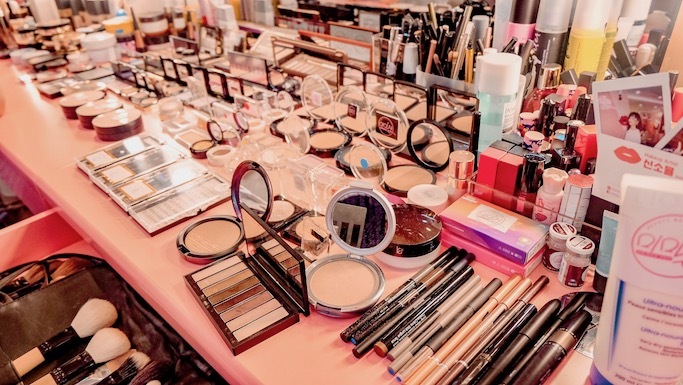 It's so much fun to learn from these celebrities, and enjoy with all the makeup that we can play with! 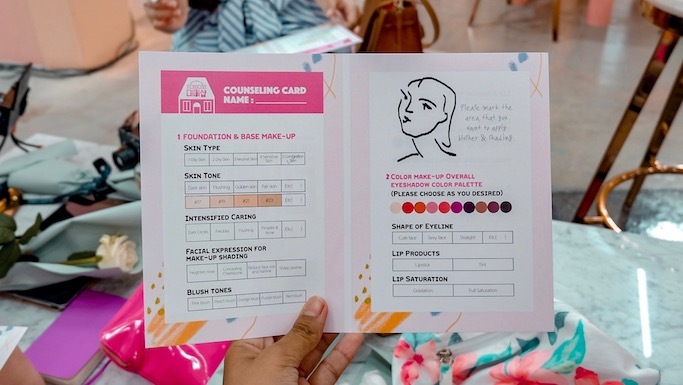 Anya of Indonesia was the first volunteer to have her makeover! The featured look is faux freckles which looks great on her! Everyone huddled to watch actress Shin So Yul work her magic in makeup! 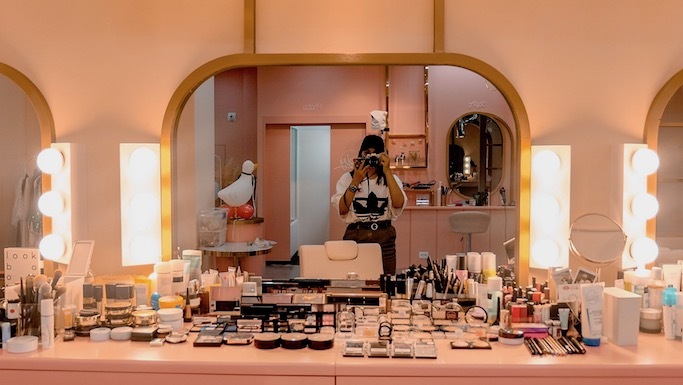 She's not only a good actress, but a great makeup artist too! 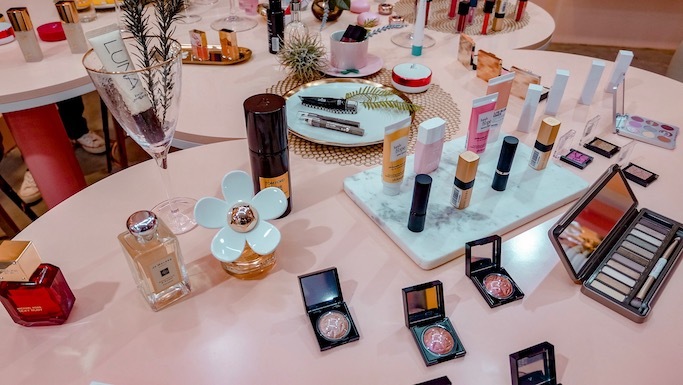 AHHHH I was too starstruck I wasn't even able to look through all these beautiful makeup! The show says this is where you can add the finishing touches. 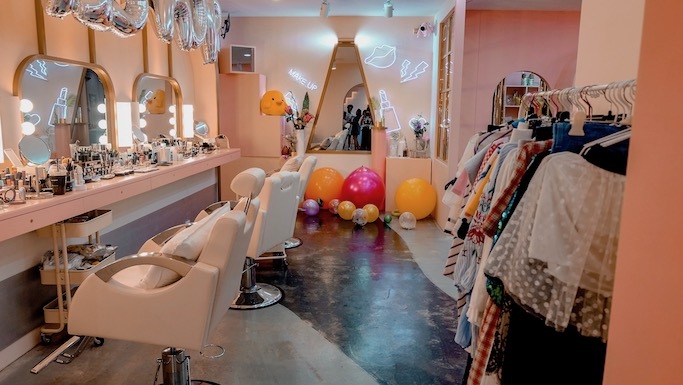 But to me, this is where I had a memorable encounter with Dara where she fixed my hair into her signature Pineapple Hair style! While everyone's busy with makeup, Dara was styling my hair and talking to me about Kpop and Kdrama and how's the Philippines!!! Huhu my heart!! Where you can have your pretty photos taken and printed!! Haha, my shot looks exactly the same as the one on Episode 2! I had mine taken with Peishi of Singapore and Alicia of Malaysia. They are both so pretty and nice! 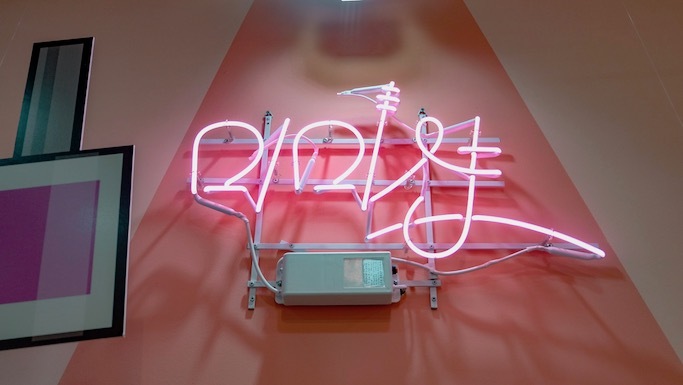 Where Mimi Shop staff can rest and dine. This is the only area in the shop that I wasn't able to see! 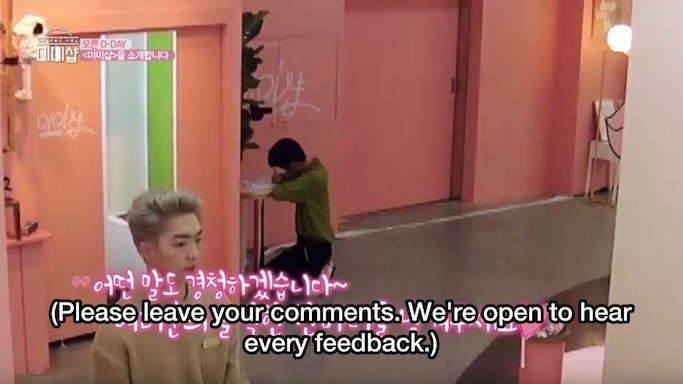 Last section in the shop, where customers place their feedback about their experience before leaving the place. I wasn't able to see this section, instead it was replaced by a little monument of Mimi Shop's best works for the past episodes! I realized that the question I got the most after posting this experience on Instagram is.. They did not give to us the address, and we rode a service van to the venue, so I thought I wouldn't be able to answer this. BUT! I remembered that we had to wait in a coffee shop which is right next to the Mimi Shop! 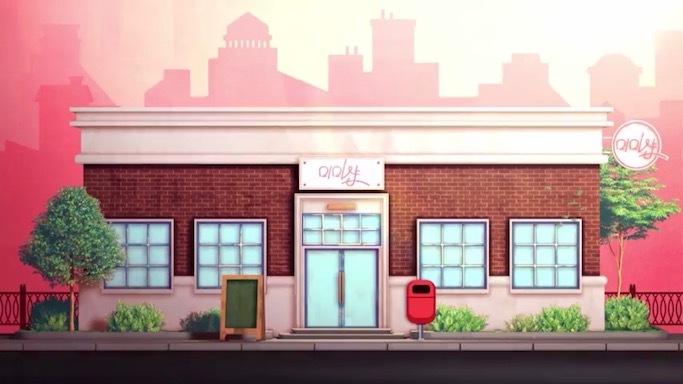 So the cafe is a good reference if you want to visit the store! 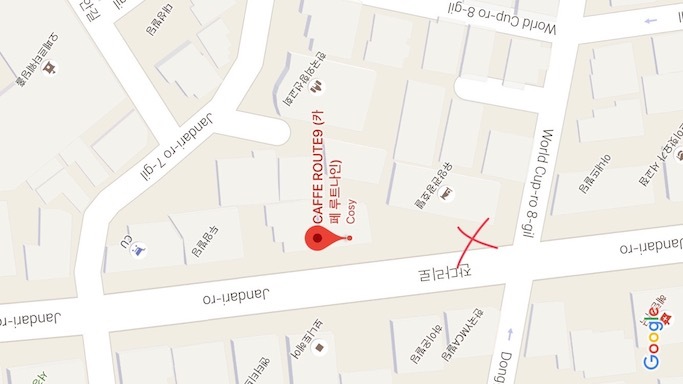 Since Mimi Shop is not yet in Google Maps, you can input CAFFE ROUTE9 instead. Nearest subway station is Hongik University Exit 1 or Hapjeong Exit 2. 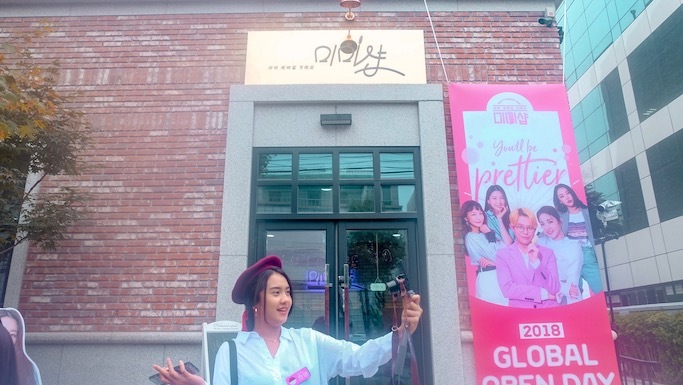 Entrance is only for the show's guests, but there are fans of the artists waiting outside with the camera crew for a chance to take pictures of the celebrities who might go out! And, well, who knows! Anything can happen!!! 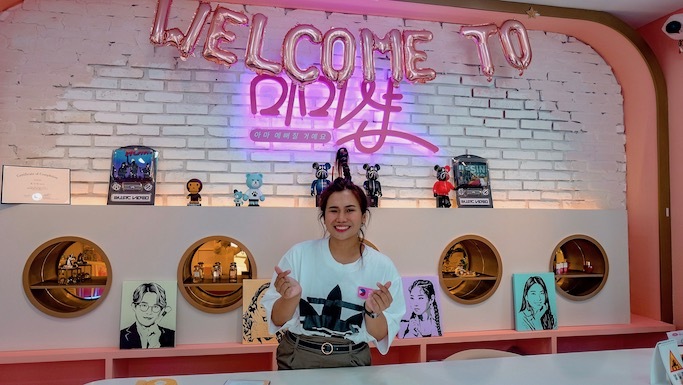 You can watch JTBC's Korean reality and variety show Mimi Shop only on VIU! Our episode will be aired on August 30, a short segment along with the makeover winners! May Filipino din dun and I think she did great job during the show! 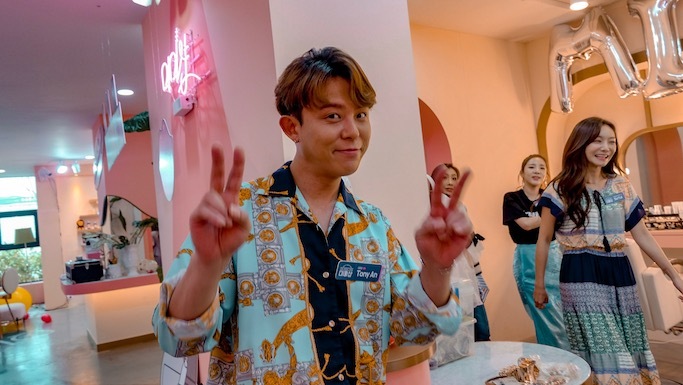 Hope you can support us by downloading the Viu app available for FREE on both Apple Store and Google Play, and by marking your calendars for the episode release! 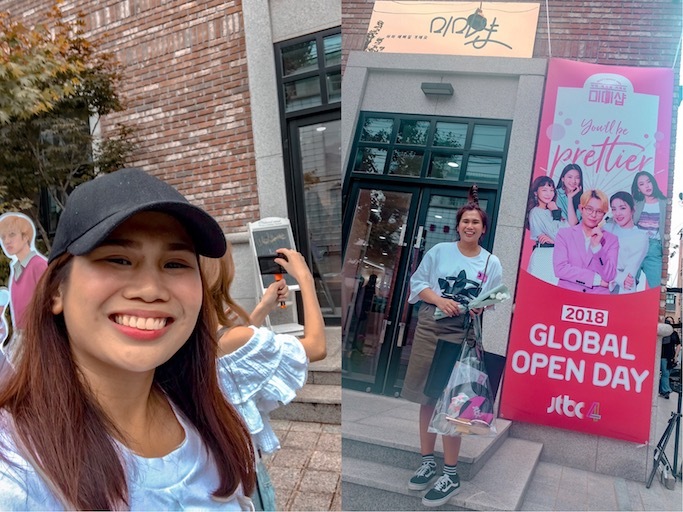 Again, thank you so much Viu Philippines for this wonderful opportunity! Saranghaeo, kamsahamnida VIU PH TEAM! Follow them guys! There might be other opportunities like this in the future!! You're super lucky! I watch this show every week.